I’m approaching the end of my new manuscript and I’m really excited. This book has been a collaborative effort – I’ve realised that you don’t have to write solo. My mentor’s contribution has been immense and I’m kind of hoping she’ll continue to work with me as my writing grows. I don’t think the manuscript will be ready until February but I can taste the final sentence. It’s not far off. Which is the reason I haven’t blogged for the last two weeks. My apologies. 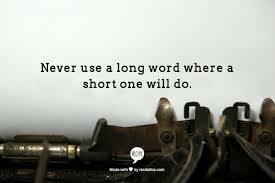 It also explains why this week’s blog is short and sweet. My manuscript consumes me at the moment. Yesterday I managed to squeeze in a course at the Brisbane Writers’ Festival held by the energetic, witty and intelligent Lenny Bartulin – I was so impressed by him I raced out and bought one of his books. Infamy is the next book on my reading pile, behind Anna Dressed in Blood. Here’s something I learned at the course – six questions you need to ask yourself when starting to write a novel. I can’t read my scrawling notes so I apologise if I am misquoting the source – I believes it’s Robert Mckee. What do they want (desire – in its myriad forms – moves the story forward)? Why do they want it? How do they go about getting it? Previous PostPrevious True Blood – truly entertaining. Next PostNext Darth Vader rant, and can someone please shut down all the garbage mashers on the detention level?